Does this weather make your skin dry and dull? It’s time for you to start including cannabis in your daily skincare routine. Come to FireHaus and check out our Apothecanna line. Their everyday face and body oil are extremely hydrating and invigorating. Boosted with mandarin, cedar and geranium it alleviates dryness, hydrates and relieves tension. Your skin will thank you! 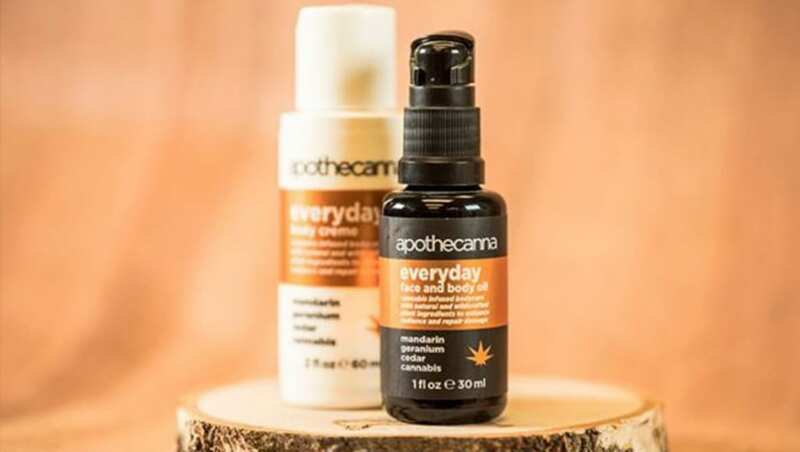 Apothecanna is the first all-natural body care line supercharged by plant power. Made in Denver, CO since 2009. Rich and intensive face and body oil for daily use. Extremely hydrating and invigorating. All skin types. Ideal for dry climates. This refreshingly scented body oil boosted with mandarin, cedar and geranium alleviates dryness, hydrates and relieves tension. Lightly apply and massage to face and scalp. Use after shower for all-day moisture. Light, refreshing aroma – most appropriate year round formula for intense moisture.